Rayban ORB3447 plorized with round flash lenses is classic! Now see the world with a clear vision. We bring to you the finest range of designer sunglasses and prescription eyewear from the leading brands of high standard quality with the most competitive prices. Whether you are looking for simple prescription eyeglasses or the designer ones, you don’t need to compromise with your choice as we are here to fulfill your all your eyewear need. Our designer fashion sunglasses and premium prescription eye glasses for men, women and kids eyewear are available at affordable price with great deals. Looking for stylish Sunglasses that protects your eyes against harmful UV rays? At DanielWalters.com, we provide the quality eyewear brands and the lenses are made to suite your individual needs. We offer a wide choice of prescription eyewear and sunglasses for women & men in different colors, size and shapes from which you can pick the best style for yourself. Our quality products offers excellence, style and comfort. We have an exhaustive collection of eyewear varieties from leading brands like Ray-Ban, Diesel Eyewear, Vivid Eyewear, Guess eyewear, GANT eyewear and many more. At Danielwalters.com we are commited to providing our costumers with a world class service. All frames in our eyewear store come with free cases, cleaning cloths and a lens cleaner. One year of manufacturer’s warranty is provided on all products. Free shipping is provided throughout the U.S. and no tax is charged for orders outside California. Here at Daniel Walters our goal is to provide you with high quality eyeglasses and sunglasses at a reasonable price’s. We want your experience to be as simple and hassle-free as possible and we go to great strides to ensure a positive experience for our customers. Daniel Walters has been in the eyewear business since 1988 when he founded this family-owned and operated company. Our company is committed to making sure that our customers are fully satisfied with their online shopping experience. We know how critically important it is to have the right prescription lenses in your eyeglasses, and this is why we carry the highest quality prescription lenses. We carry a wide variety of lenses to suit all your possible needs, including bifocal, progressive, distance and reading lenses. We also offer a variety of different lens options, such as thinner lenses (for customers with higher prescriptions), anti-glare and Transitions coatings, sunglass tints plus many more lens options. Here at Daniel Walters, we believe that having a prescription lens should never limit your choice in sunglasses. As you browse our website, you will see that almost all of the sunglasses can be ordered with prescription lenses, including single-vision and progressives. Daniel Walters sells a wide variety of designer-brand eyeglasses and sunglasses, with a large selection that is sure to please everyone. We also have a large catalog of budget-friendly and high quality frames that are sure to fit every budget. 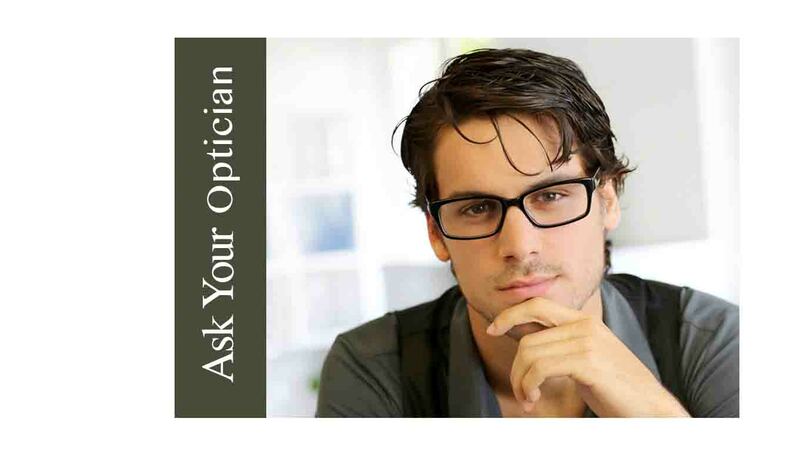 Do you have a pair of frames you love but need an updated prescription? We can help you save those favorite frames and replace the prescriptions lenses for you. Simply mail us your frames with your information (address, phone number), and we will contact you to discuss your order. We offer this valuable service for both prescription glasses and sunglasses. Here at Daniel Walters we are dedicated to the best possible customer experience. To ensure that you are absolutely satisfied with your purchase, we have invested in an advanced virtual try-on mirror. This technology allows you to see how any pair of frames will look on your face, and you can even capture an image to share with friends or family. We offer free shipping inside the United States for any purchases made on DanielWalters.Com. Shipping costs do apply outside of the US, and you can contact us directly for a quote if you are shipping internationally. All products purchased from DanielWalters.com are covered by a one-year manufacturer's limited warranty. You can return any item for a full refund within 30 days of receipt of the item with no restocking fees. The returned item must be unused in its original condition and packaging. You should expect to receive your refund within four weeks; however, in many cases you will receive a refund more quickly. We strive to make your online ordering experience as easy and pleasant as possible. If you have any questions, please do not hesitate to contact us directly for further information. Our website has thousands of eyeglasses in a wide variety of styles and prices. The eyewear catalog is easily searchable and that will enable you to find the pair of eyeglasses that is perfect for you. We are constantly updating our catalog, so check back often to see new styles and brands of eyewear on DanielWalters.Com. In Danielwalters.com you will not need to pay sales tax if your order is placed from outside California. Every glasses sold in our online eyewear store qualifies for 1 year Manufacturer's warranty. Please contact us for more information in this regard.